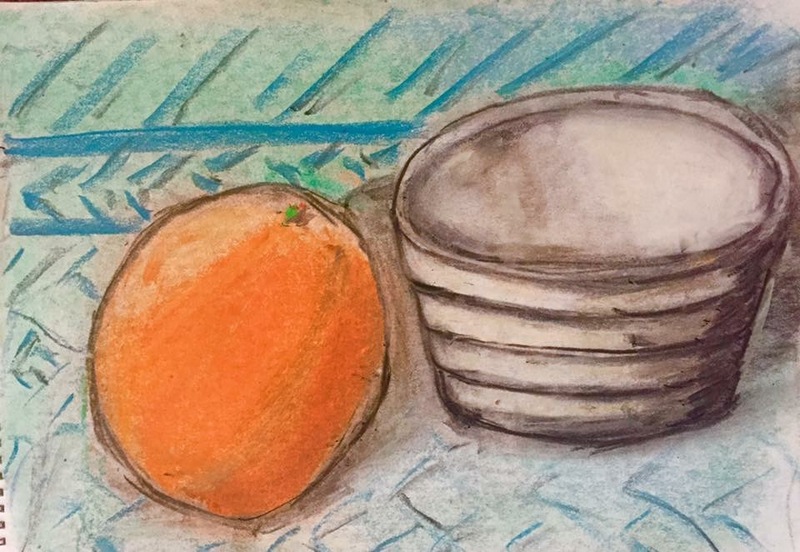 ← Drawing Competition for September – Orange and Bowl in Charcoal and Pastel. We had some truly beautiful entries this month and I will definitely be doing more full colour challenges from now on, they are just more fun I think. I work with lots of colour in my own work which you can take a look at here if you would like to. As usual you can see all the entries for this month’s competition via the Sketchout Facebook page. Thank you to everyone who entered. One of our entrants this month (Mike Collett) said how he is really enjoying getting a sense of the Sketchout community through these competitions and so am I. It’s so nice to engage with you all more in between classes and get your lovely feedback and energy from these competitions. I better start making some more videos! 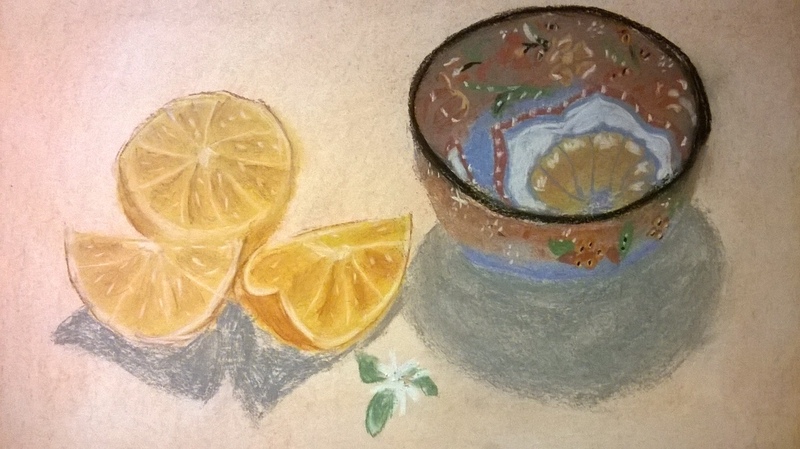 And the winner of the “Orange and Bowl in Charcoal and Pastel Competition” is Mark Morton with the beautiful piece below. I chose this piece because of the great colours and dramatic lighting. 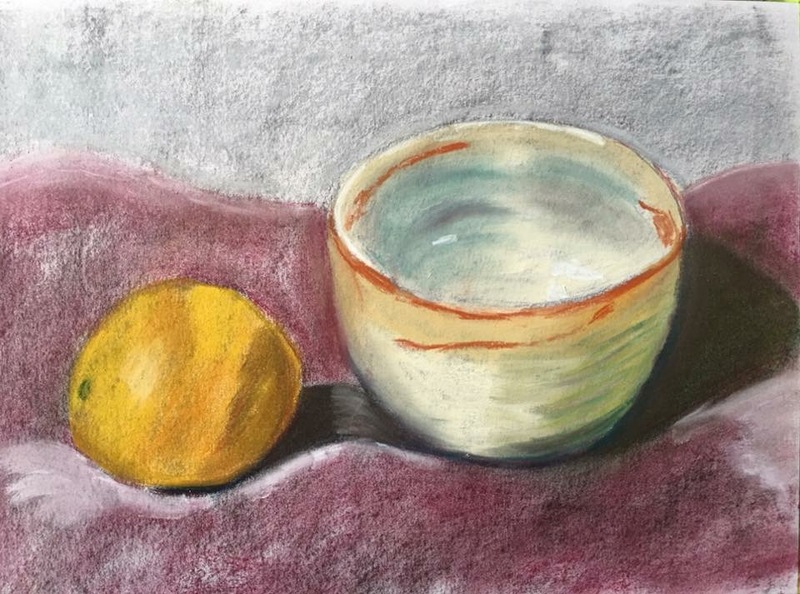 I love the shine on the bowl, the strong shadows and the texture from the individual pastel marks on the lemon. 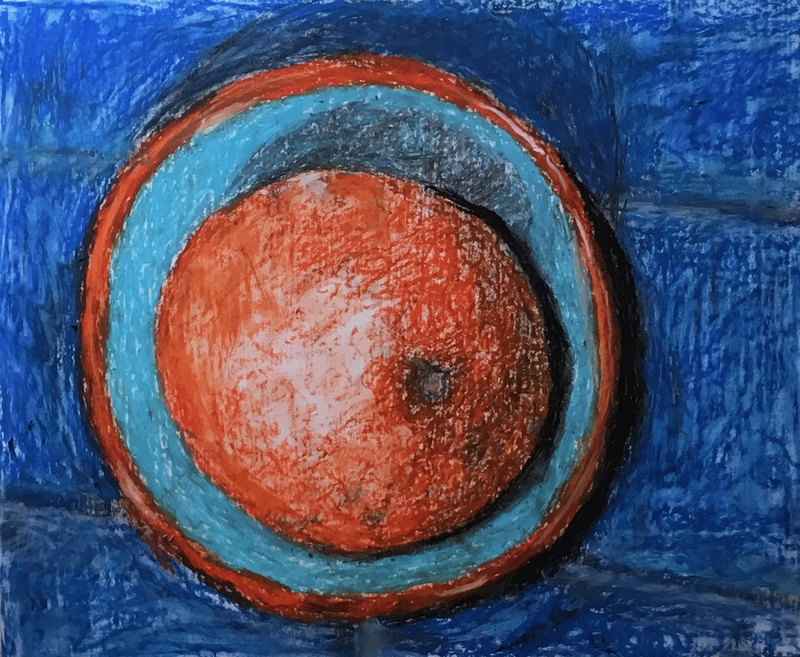 I love Jaycee’s choice of colours and the energy in this piece, the orange, blues and greens are stunning together. It feels summery, fresh and light and I like the strong outline of the orange. This piece is beautifully detailed and sweet with good shadows and lovely colours. This is a really strong and unusual yet simple composition from Mike and the colours are bold, strong and beautiful together. Thanks to everyone who entered and I will be launching October’s competition very soon.